Good food shouldn’t have to be hard to make, and it definitely should taste good. 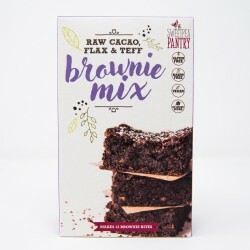 ​Our mixes are gluten-free and dairy-free, with no added sugar (so you can choose your sweetener of choice if required) and they are vegan friendly.​Our all-natural ingredients are from ethical producers and most of them grown in the UK. 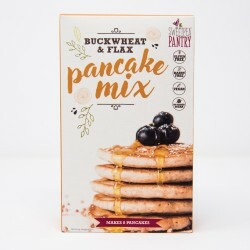 We love to use flax, quinoa, chia, oats and other highly nutritious and super powered grains and flours.​Use our mixes to make wholesome meals and snacks - they cover favourites like pancakes, pizza dough, flapjacks, brownies and carrot muffins - or try some fabulous variations using our mixes for energy bars, waffles, crackers and fruit crumble. 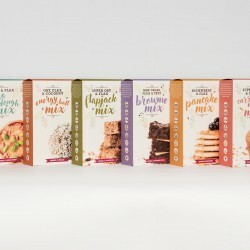 "So easy to make, so tasty - a new favourite." 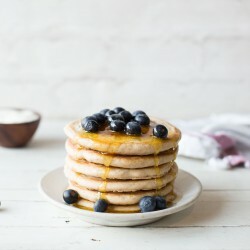 "Your pancakes continue to spread happiness around the world!"